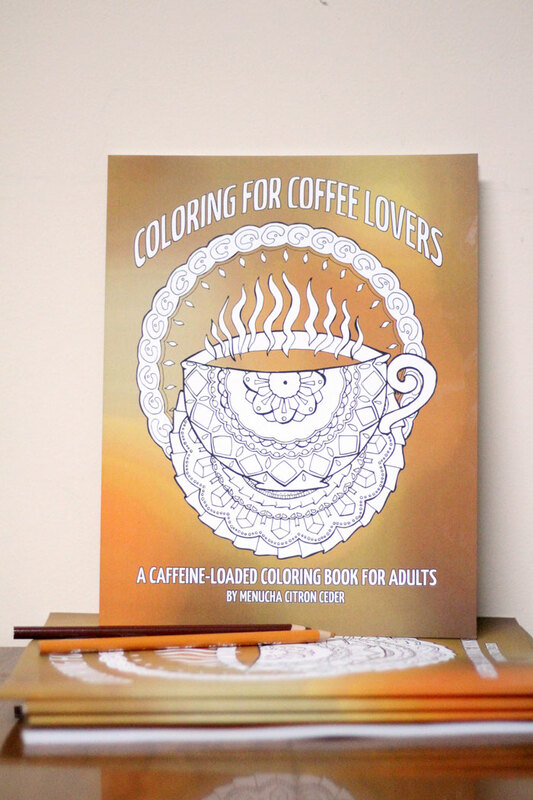 Coffee Coloring Book for Adults - Double Relaxation! It’s about time that I share with you a new and unique coloring book for grown-ups – the full coffee coloring book, loaded with 24+ diverse coffee-focused images for adults who like to color! 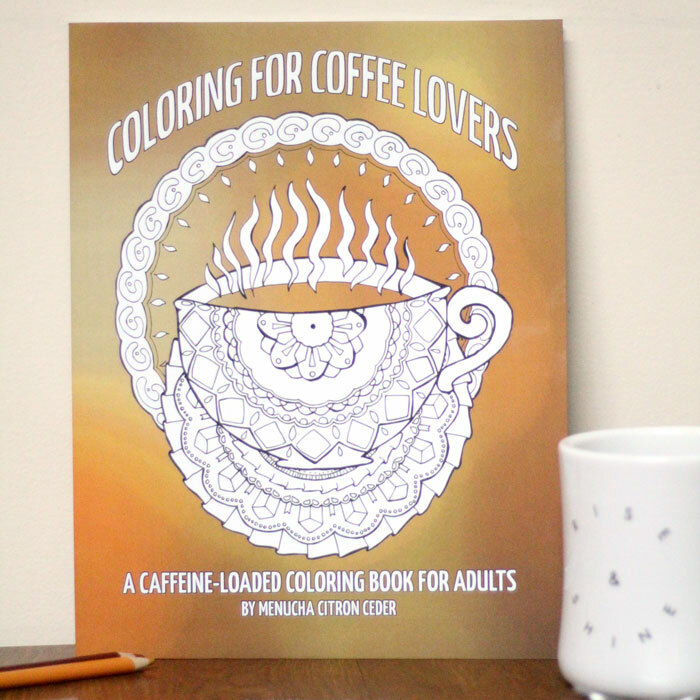 Coloring for Coffee Lovers: a caffeine-loaded coloring book for adults is my latest venture, and I am quite pleased with the results. In this post, I will provide you with a little more info, a sneak peek video and of course your buying options. A while ago, I shared a couple of free coffee coloring pages for adults. It was my first time drawing any coloring pages, and it was a huge hit. It was downloaded over 6000 times! I was so happy that I was able to share the talent and joy, that I continued to draw. I joined the Coloring Tribe, and started offering monthly freebies. Then the stories started piling in. Someone who was quitting smoking and de-stressed by coloring. Someone who had survived terror, was homebound, and the coloring kept her going. Multiple moms like me who needed an outlet after a hectic day with the kids. An organization group for teens-at-risk that used my coloring pages for their programs. The stories are really countless. Behind every page downloaded, well over ten thousand total downloads between all the pages, there is a story. There is a person who is doing this for a reason. There is someone this is helping. I know that I will NOT stop offering free coloring pages. They will keep coming. I also decided to take this a step further and offer even more – both as a means of motivating me to put things out there, and also as a means of supporting my growing family. First, I published my color-in recipe journal. But I thought that since my coffee coloring pages have touched the most people, I might as well expand on that. And so I drew over 20 new images and combined them into a brand new coffee coloring book! The best way to describe Coloring for Coffee Lovers is to show you the inside. As you can see, the pages are very diverse. They are hand-drawn by me, and vectorized for sharpness. You have 24 unique pages, plus an intro page. I also made a bonus page, some coffee date invites using artwork from the book. You can color them and use them to invite your friends over for a cuppa. (Thanks to my friend Alyssa of Arts & Crackers for that). You can see more videos and images on my Amazon author page. Amazon – probably the easiest for you to get the print version. You can also get the same digital PDF on Gumroad. 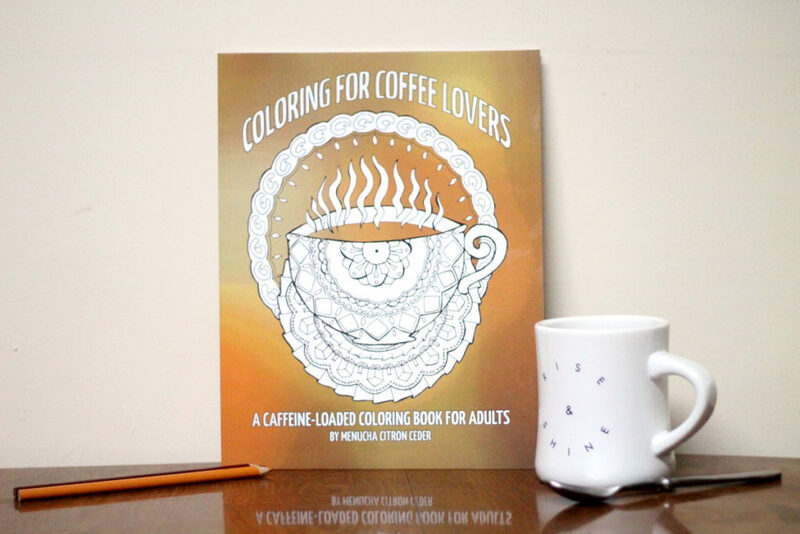 Learn more about the printable DIGITAL PDF VERSION of Coloring for Coffee Lovers here. 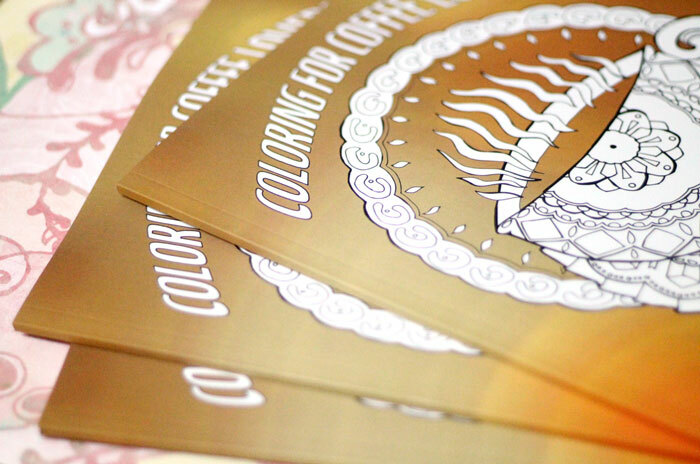 Get your coffee coloring book here, and make sure to spread the good word!! Adult Coloring, Adult coloring pages, Crafts for Adults, Crafts for moms, Crafts for Teens, Grown-ups. Bookmark.